Their broad repertoire includes music from the Renaissance to the present day, with new works written especially for them by contemporary composers, including Jeremy Jackman. Well known celebrities who have shared the concert platform with the Cecilians include The Temperance Seven, Emma Johnson and John Lenehan, Emma Kirkby and Anthony Rooley, Peter Skellern, The Cambridge Buskers, Fairer Sax and Black Dyke Brass Band. Other guests have included East Midlands musicians - the Goldstone Duo, the saxophonist Alistair Parnell (The Parnell Phil), Emma Pountney (clarinet), Antony Clare (piano), Queen’s Park Sinfonia, saraBande Orchestra and the accompanists John Keys, Neville Ward, Roger Bryan and Andrew King. The Singers were honoured to give the first performance outside London of Jeremy’s new English version of Bach’s “St. John Passion”.The Singers’ reputation and success have also rewarded them and their audiences with choral works specially written for them, including Roger Harvey of the Philip Jones Brass ensemble, and Antonin Tucapsky. Commissioned works include “Cecilia Ni Sa” by Francis Silkstone, based on Indian Ragas, and Jeremy’s “The Great God Pan”, the latter written for the 2006 concert with special guests Emma Johnson & John Lenehan. This was performed again in 2017 with The Parnell Phil (saxophone & piano). The Cecilians celebrated their 21st anniversary with a concert featuring Black Dyke Band with presenter Brian Kay in the De Montfort Hall, Leicester. 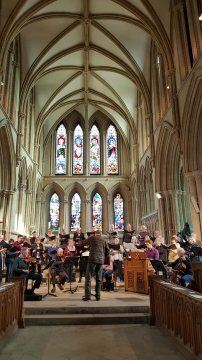 Established works include performances of Scarlatti's 'Stabat Mater' and Brahms's 'German Requiem' with The North Cotswold Chamber Choir with Barry & Nicola Rose on organ and piano. 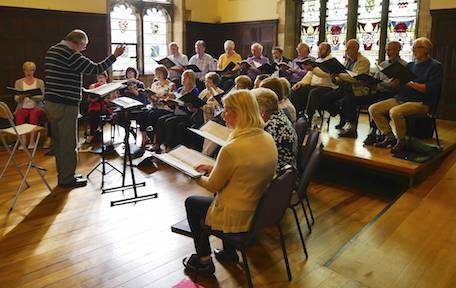 More modern works include an enjoyable association with Stoneygate School Choir performing Jeremy Jackman’s ‘Sticky-Wacky-Steely-Rock-Grip-Chop-Bounce!’, as well as participation in the Festival of Choirs at De Montfort Hall. 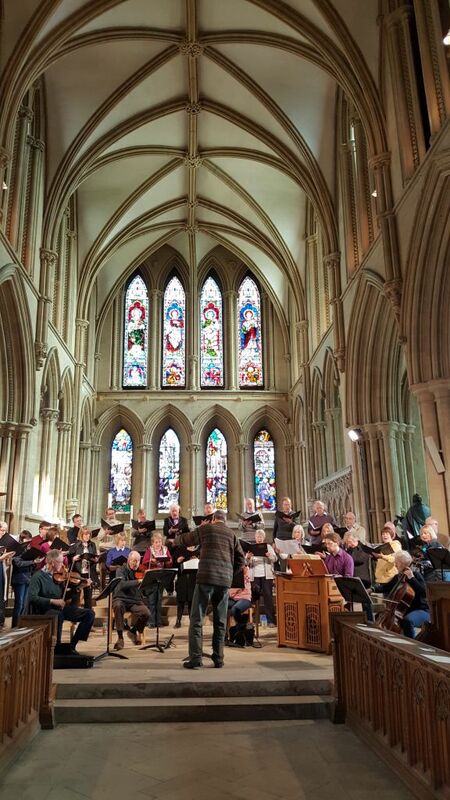 In addition the Singers regularly participated in the Leicester Early Music Festival, with their performance of Purcell's 'Dido & Æneas' accompanied by The Cecilian Academy receiving great acclaim. 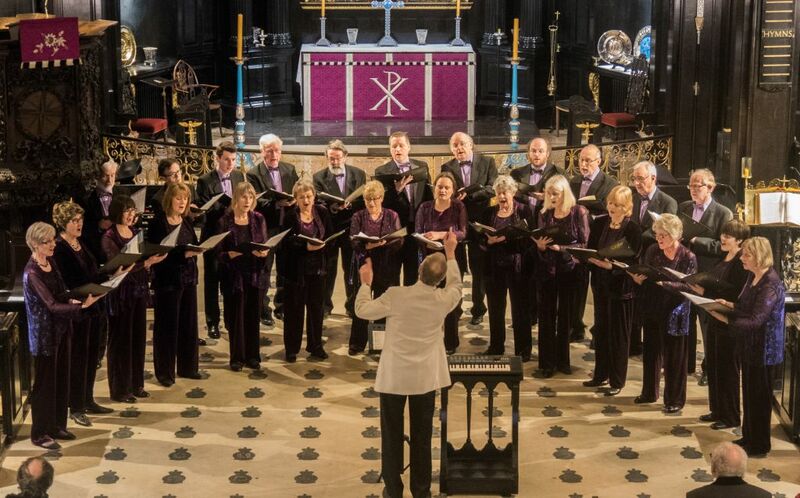 The choir also marked 23 years under the baton of Jeremy, with a celebratory concert in 2013 in St. James the Greater Church featuring the Queens Park Sinfonia and the first performance of Jeremy's composition 'Three Scribes'. 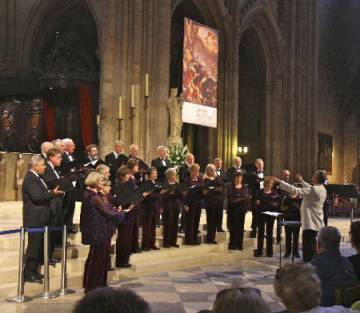 Over the years, the choir has toured Northern Germany, Northern Italy, Belgium, Spain, Paris, Austria and the Czech Republic. In Spring 2017, they enjoyed a very successful tour of Tuscany which included concerts in the Duomo di San Martino, Lucca, St. Mark’s English Church, Florence and La Cattedrale dei Santi Pietro e Francesco, Massa. We are looking forward to what our travel manager is arranging for a tour in Europe in 2020. The Singers owe much of their acclaim to the quality of Music Directors past and present. For the early years they were guided by Malcolm Goldring and Brian Kay and for the past twenty-nine years, they have continued to thrive under the direction of Jeremy Jackman. Their concerts highlight the diverse repertoire of the Singers. 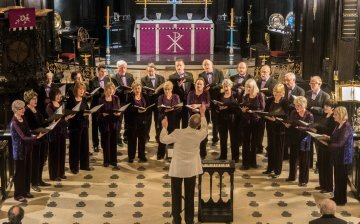 This is particularly noted at The Brandenburg Concert Series in London where critics say that the Cecilian Singers present an evening of the most varied music of the whole series. However, the success wouldn’t be possible without the enjoyment of singing with dedicated and committed singers. Details of the Singers’ CD’s are available on their Recordings page.